Extreme Carpet Cleaning offers complete Baltimore Oriental rug cleaning & serves Towson, Timonium, Lutherville, Hampden, Parkville, Cockeysville, Hunt Valley & surrounding Baltimore, Maryland areas. Hiring a professional Oriental rug cleaner in Baltimore. 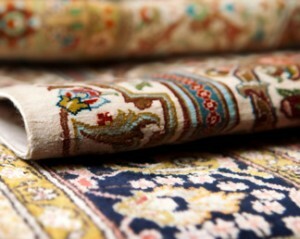 Oriental rugs may be passed down from generation to generation. Professional Oriental rug cleaning can extend the life and beauty of an Oriental rug. Extreme Carpet Cleaning in Baltimore specialize in cleaning Oriental rugs will pick up your rug and reinstall it. Extreme Carpet Cleaning in Baltimore has specialized equipment to give your oriental rug a more thorough cleaning and drying before re-installing the Oriental rug. Extreme Carpet Cleaning has access to products designed especially for use on Oriental rugs. Most carpet shampoos and cleaning products found in retail stores are designed for synthetic wall-to-wall carpeting and are often too harsh for the delicate natural fibers in Oriental rugs. Give us a call at (410) 666-6600 or use the form to email our office about your Oriental rug cleaning needs. We are here to help with your questions and to schedule a a pick-up of your oriental rug. Extreme Carpet Cleaning offers complete Oriental rug cleaning services to all of the Baltimore and surrounding Maryland areas. Locally we also serve Towson, Timonium, Belair, Lutherville, Hampden, Parkville, Cockeysville, Hunt Valley, Loch Raven. and surrounding Baltimore, Maryland areas.